On Monday, the government said there is deep-rooted mismatch in the debt-equity ratio because of excessive leveraging which has put a question mark on its ability to continue in the hands of the present management. “No meeting of the Risk Management Committee was held during the period under review,” IL&FS said in its Annual Report for the year ended March 2018. It didn’t meet during the year 2016-17 as well. THE Risk Management Committee of Infrastructure Leasing and Financial Services (IL&FS), whose job it was to red-flag problems — from credit risk to capital adequacy — to the board, never met even once in the financial year 2017-18 even as the company’s financial position deteriorated and it moved towards defaulting on its debt obligations. This is despite the fact that the IL&FS group owes over Rs 91,000 crore to banks, mutual funds, finance companies and insurance companies. The risk committee is constituted by the board of a company to oversee the risk arising from fund deployment, borrowings and asset-liability mismatches. 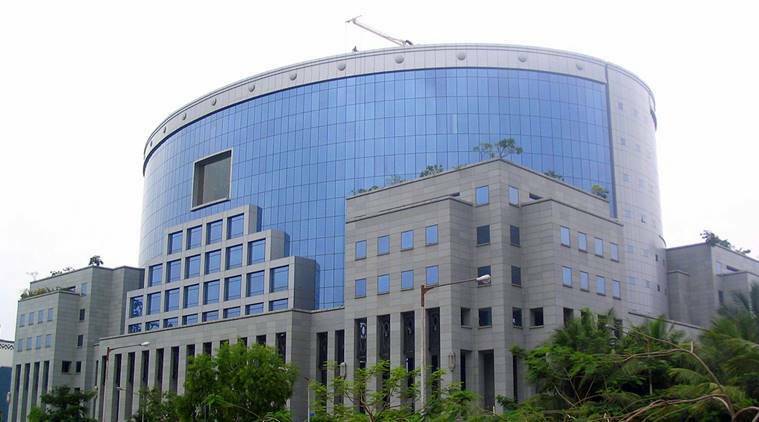 According to the petition filed by the Ministry of Corporate Affairs in National Company Law Tribunal, the Registrar of Companies (RoC) which conducted an enquiry has said mismanagement and compromise in corporate governance norms and risk management were perpetuated on IL&FS and its group companies by indiscriminately raising long-term and short-term loans through public sector banks and financial institutions. On the Risk Management Committee were chairman S Bandyopadhyay; R C Bhargava; Michael Pinto and Arun K Saha. Bandyopadhyay resigned on April 3, 2017. Consequently, the committee was re-constituted at the meeting of the board of directors of the company held on August 24, 2017. The IL&FS board appointed Hemant Bhargava as chairman. Bhargava, who is also Managing Director of Life Insurance Corporation, later briefly became chairman of IL&FS between July and September 15 after Ravi Parthasarathy quit as chairman. Bhargava quit as chairman in mid-September to avoid any conflict of interest as he was in the LIC’s committee on investments. On the other hand, IL&FS knocked on LIC’s doors for funds. The responsibilities of the Risk Management Committee include: regular review of the adequacy of the risk management framework and operational procedures developed for new businesses and products; guidance on strengthening of risk management practices to respond to emerging global and national market and regulatory developments; approval of overall limits for management of credit risk, liquidity risk and market risks and review of asset liability management reports. The committee is also responsible for the review of capital adequacy requirements of the company; review of the company’s compliance programme and review of the status of any enquiry, investigation and other disciplinary action initiated by the RBI, the SEBI or other regulatory agencies, it said. The risk management committee should have warned the board about the problems in the company, but this never happened, corporate sources said. On Monday, the government said there is deep-rooted mismatch in the debt-equity ratio because of excessive leveraging which has put a question mark on its ability to continue in the hands of the present management. The high debt stress was clearly visible in the company and its main subsidiaries but was camouflaged by misrepresentation of facts. The consolidated financial statement of IL&FS holding company and its subsidiaries, associates and joint ventures projected a picture through highly exaggerated depiction of non-current assets in the form of intangible assets amounting to over Rs 20,000 crore. Besides, bulk of revenue was in the form of receivables, around 50 per cent, which was locked up in litigation and arbitration. According to IL&FS Annual Report, the average percentage increase in salaries of employees other than managerial personnel in FY 2018 was 4.44 per cent and the average percentage increase in the managerial remuneration was 66 per cent. Three top executives Chairman Ravi Parthasarathy, Vice Chairman and MD Hari Shankaran and Joint MD and CEO Arun Saha together took home a salary of Rs 35.21 crore for the year ended March 2018. Of this, Parthasarathy accounted for the lion’s share of Rs 20.4 crore (including retiral fund) while Sankaran’s remuneration was Rs 7.76 crore and Saha’s Rs 6.99 crore.